If SD-WAN is going to be a technology that reaches its potential then the channel is going to have to step up the education for users around the topic. 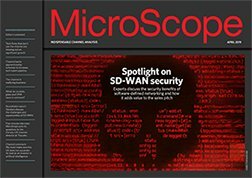 Research from Cogeco Peer-1 has indicated that 72% of customers do not fully understand SD-WAN and a third worry it will disrupt their business and not far off half are losing sleep over security issues. Those that have gone down the software defined route have seen OPEX, cost and efficiency savings and the channel will need to get more customers over the hurdle of hesitation to the adoption stage. "Businesses understand the importance of SD-WAN to digital transformation, but there is a lack of knowledge about how to start implementing it," said Tom Adams, director of product at Cogeco Peer 1. The firm's survey found that because of the lack of understanding many firms were looking to outsource SD-WAN deployment to a managed service provider. Users thought that not only would it reduce headaches but using a specialist would result in quicker deployment and cost savings. "It is the responsibility of vendors and channel partners to come together and educate organisations around SD-WAN and ensure SD-WAN packages come with a high level of consultancy and support," said Dave Tracey, EMEA channel sales manager at Cogeco Peer 1. The study comes at a time when the call is going out elsewhere in the channel for resellers to step up and get involved with the technology. Westcon has monitored a significiant rise in Silver Peak opportunities and is urging more partners to get involved. “This is a rapidly evolving market that’s past its early-growth phase. Our partnership with Silver Peak has demonstrated the strength of interest and demand from customers serviced by the more traditional reseller partner base. Most multi-site organisations are evaluating how the technology can complement or replace their current architecture; however, they also want to change to a more software subscription-based model," said Tony Randall, Westcon global SD-WAN director. "Partners that can deliver a true OPEX model and service and manage the technology for customers have a critical advantage. As evaluations become a commitment to purchase when networks are replaced and re-engineered, customers will want rapid deployment so we need the VAR channel to be ready and able to respond to this growing demand," he added. Mike Kontowtt, director of channel sales EMEA at Silver Peak, said: “While experts estimate that up to 70 per cent of applications have moved to the cloud, the transformational promise of the cloud is falling short for multi-site organisations that want to operate at cloud speed, but are realising that their conventional router-centric WAN is holding them back."